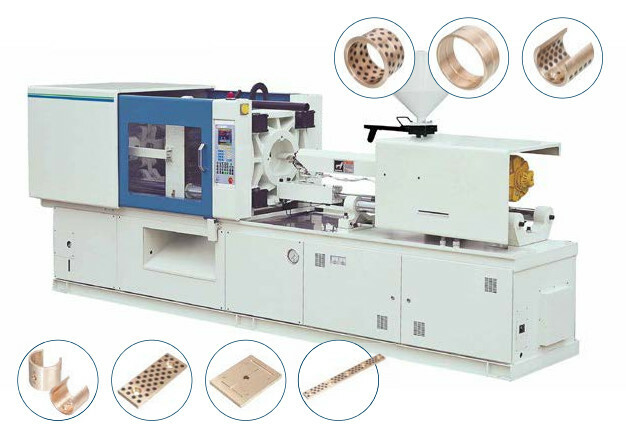 VIIPLUS China Bronze Metal maintenance-free, self-lubricating bearings exhibit wear- and seizure-resistance in continuous operation of high precision industrial equipment such as machine tools, injection molding machines and robotics. Graphite is mechanically forced into the holes/grooves under extreme pressure. A film of lubricant is transferred to the shaft as it begins to turn. These bearings offer continuous lubrication over long periods without maintenance.Plug graphite bearings are primarily used in applications that need continual lubrication in hard to reach areas. widely used in the injection molding machine molding machinery, rubber machinery, die-casting machines and other occasions. 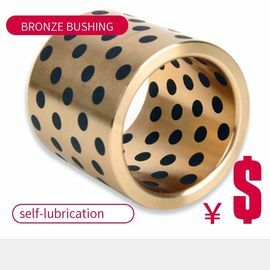 Bearing Advantages:when using the solid lubricant bushing ..There is no needs for considering the oil-putting set in designOil offering system is an energy waste and time waste set in mechanical design. 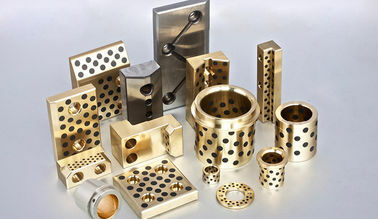 the viiplus manufacturer company has been committed to new product research and development, material performance, improved JDB series solid inlaid self-lubricating axle sleeve with high strength, wear resistance, free maintenance etc, has successfully supporting several world famous manufacturers of injection molding machine, die-casting machine. My company's self-lubricating bearing products have been supplied in the chassis walking body, body parts, hydraulic components and other components. 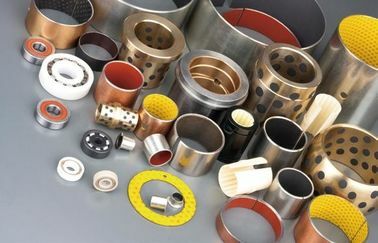 Including bimetal boundary lubrication rolling bearings, metal-based self-lubricating bearings and metal-plastic self-lubricating rolling bearings. 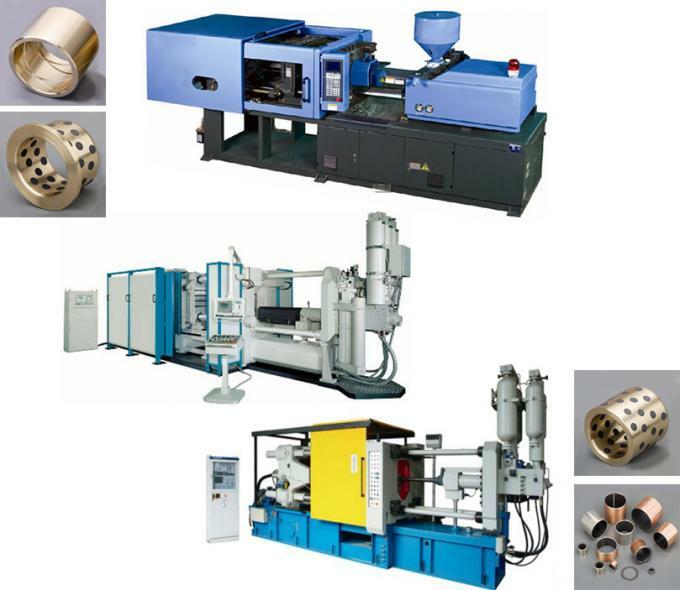 These bearing materials have excellent wear resistance and dust resistance under high load conditions, and the self-lubricating technology greatly prolongs the maintenance cycle of the bearing, thus improving the utilization ratio of the equipment and reducing the maintenance cost. 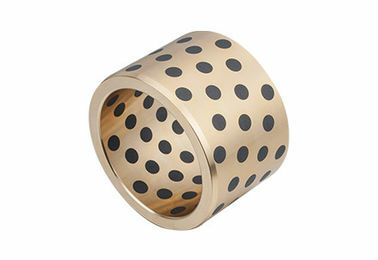 VSB-50 material is made of strong cast bronze based metal with special solid lubricants embedded. The base metal withstands high load and the solid lubricants provide self-lubrication. The bearing shows excellent performance without pre-lubrication under conditions of extreme high/low temperature with low speed. This material provides a maintenance-free bearing solution, particularly for high load, intermittent of oscillating motion.